Home to numerous attractions, Arizona has continuous sunshine and a dry climate. Stay at 58 different comfortable Best Western locations across the state! Children 17 And Under Are Free - check for details. 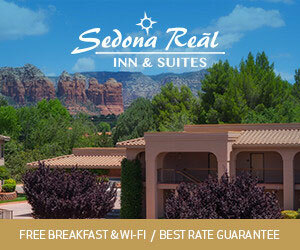 The Best Western Inn of Sedona is the perfect place to stay while on your Arizona vacation,ensuring you have plenty of energy to tackle everything Sedona has to offer. Visiting Arizona? Best Western Kings Inn & Suites offers convenient lodging from the Grand Canyon to the Navajo Indian Reservations. Best Western Mesquite Inn provides you with a superior rooming experience with many affordable rooms and fun local attractions! Specials available! Along with great accommodations, also Located in the Holbrook,AZ area, you will also find the Petrified Forest National Park. A great pitstop in a quiet location. Cable TV and WiFi hotspots along with other amenities such as a laundry room and showers. Your home away from home! In the midst of the best restaurants, we also offer free Wi-Fi, cable TV, refrigerators, microwaves, and a pool! Affordable rooms and great service. All kinds of great deals and packages available whether you're traveling alone or with your family. Comfort Inn delivers affordable, yet luxurious accommodations at our many locations. Explore Arizona through the great amenities featured at the Connor Hotel - enjoy antique furnishings, private bath, wireless internet and more-rates to fit every budget. Days Inn is a economical choice of hotel for those on a budget. Many locations can be found world wide. Close to golfing, fishing ,and shopping - Days Inn Flagstaff is the ideal lodging for travelers exploring Flagstaff, Arizona! A nice place to relax with a Whirlpool tub and free continental breakfast. Close to shopping and popular restaurants and free HBO. Comfortable and affordable lodging in Kingman Arizona. Days Inn Kingman West offers swimming,spa, and coin operated laundry! Featuring a spa, free breakfast, and low-cost rooms, it's a great escape from the road. Close to Grand Canyon and great place to rest. Make reservations online for the fantastic Days Inn! Special offers, promotions, and discounts available. Best rates guaranteed! Wyndham Rewards Program available. Located near several parks and shopping areas! The ideal family vacation starts here with our pool, in room coffee service, and even free fax/copy service. Econo lodge is a chain of motels that offer room with very low rates. Chain of affordable hotels throughout the country. Econo Lodge offers accommodations for those on a budget who want a simple, clean place to stay. Close to many of the exciting spots in Flagstaff, this hotel has cozy rooms and free internet access. A seasonal pool and free breakfast available. Tranquil inn based in Lake Havasu City, AZ. Rooms overlook the New Refuge Golf Course, Country Club, Lake Havasu and the Colorado River. Generous amenities make this your home away from home near the Grand Canyon. Pool, spa and sauna plus sports bar, restaurant and billiards. Pet-friendly too! Forte Beale RV Park offers many amenities such as amp service, laundry rooms, internet access, a swimming pool, and more! Friendly staff and quiet environment. Conveniently located near businesses and attractions such as the Meteor Crater and Canyon De Chelley National Monument. High-speed internet access and friendly staff! Find a Howard Johnson's Hotel at your getaway destination. Choose the amenities you require for your visit. Discounts for booking in advance. Pure satisfaction! Water sports abound around Lake Havasu, and it's all yours at Island Inn. Panoramic views of the lake and Colorado River from these island accommodations. 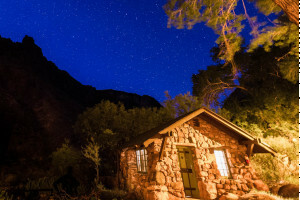 Plan a wonderful and relaxing trip in the beautiful wilds of nature with Kaibab Camper Village. Designed for campers and RVs with or without hookups. Guests earn rewards with each stay, and this hotel is very children friendly. Great for families on a budget with locations all over. Extravagant inn stationed right by Northern Arizona University in Flagstaff, AZ. Complimentary breakfast served daily. Outdoor pool and hot tub, free internet and more. Motel 6 is an industry recognized name in vacation destinations. It offers great service at a fare rate and is always located centrally so your tourism activities can be attacked at all angles. The Motel 6 in Winslow offers comfortable rooms coupled with fantastic service, everything you want from an economically priced inn which is centrally located to suit all of your business and pleasure needs. Enjoy the pet-friendly Quality Inn Hotel in Flagstaff, Arizona! Free breakfast, high speed internet, and outdoor pool available! Packages available! Located near Flagstaff and local sites, offers free WiFi, complimentary breakfast, coffee and newspapers, is pet friendly, and has a heated outdoor pool. An affordable hotel in Kingman, AZ, the Quality Inn offers complimentary breakfast and airport transportation, an exercise room, sauna, hot tub and outdoor pool. Pet friendly. Free Wi-Fi, HBO, and breakfast available at the Ramada Inn in Holbrook, Arizona! Earn points while you stay for free nights, you also get a free hot breakfast! Beautiful rooms and free local calls and newspapers. Super 8 Hotels offers low rates and excellent customer service. Pet friendly, free coffee, and complimentary breakfast are some great features they offer. Build a vacation package in minutes with Travelodge's TripFinder! Get the guaranteed best rate when you book through Travelodge.com! Specials for seniors, groups, and AARP! Travelodge has features such as free breakfast, airline mile rewards, and media center. Affordably priced rooms with free night bonus and specials. The View Motel overlooks a beautiful and wild valley! Enjoy lounging by the pool and spa or area attractions like the Grand Canyon!